While drumsticks are often revered as the most essential gear for drummers, cymbals run a close second. A drum kit without cymbals is akin to learning the drums without taking drum lessons — doable, but not ideal. When setting up your drum kit, you’ll not only want to include cymbals, you’ll want to include the right kind of cymbals. Don’t know which types of cymbals are right for you? 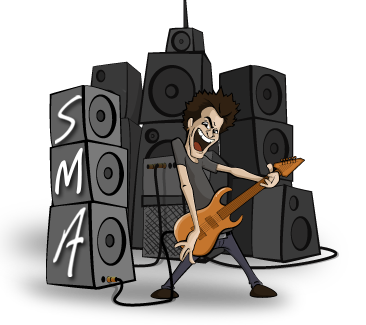 Don’t sweat it — Scottsdale Music Academy has got your back! We’ve created this handy guide on the various types of cymbals to help you figure out which ones are needed to create your specific musical sound. Crash cymbals are by far one of the most common types of cymbals. Crash cymbals produce a very loud, sharp sound and are used to add emphasis and accentuate a certain part of the music. When drummers need to add drama or mark a transition, crash cymbals are usually the go-to drum cymbal for the job. Hi-hats are easy to spot because they have a distinct look when compared to other drum cymbals. Hi-hats are comprised of two cymbals mounted together on a stand and are operated by a pedal which opens and closes the pair. Hi-hat cymbals can produce a multitude of sounds depending on how they are played. From light, crisp sounds to more heavy, quieter sounds, high-hats are one of the most versatile types of drum cymbals, capable of generating a wide range of distinct sounds. 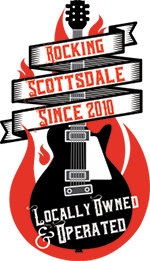 If you frequent the live music scene in Scottsdale or Phoenix, you might have noticed an extra large cymbal mounted on a stand and positioned to the right-hand side of a drummer’s kit. This drum cymbal is known as the ride cymbal. It is normally the biggest cymbal and is used to create a steady beat and provide contrast throughout a piece of music. It is one of the essential drum cymbals which almost every drummer has in their drum kit setup, regardless of genre. Splash cymbals are similar to crash cymbals in that they are both used to punch up a portion of the music and provide accent. There are several different variations of splash cymbals, each with its own unique sound. Some of the different types of splash cymbals include; china splash, salsa splash, and thin splash, among others. 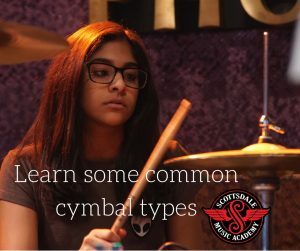 To learn more about the various types of splash cymbals or other kinds of drum cymbals, consider taking drum lessons with our team at Scottsdale Music Academy. From gear recommendations to drum kit setup and popular drumming techniques, we’ll equip you with all the drum knowledge you’ll need to be the next great drumming sensation!